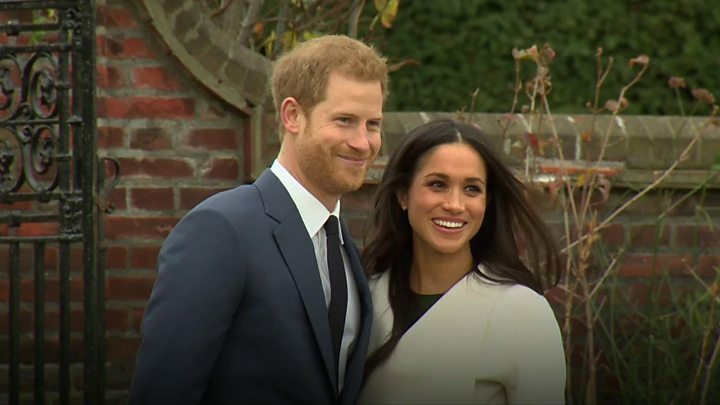 When Prince Harry and Meghan Markle announced they were to marry in Windsor, many of the town's residents were celebrating along with the happy couple. By renting out their homes and parking spaces to tourists, now some locals are hoping to cash in and even fund their own major life events.Bill Hutchinson, 37, and his partner Annie have listed their luxury three-bedroom cottage on home rental website Airbnb for a nightly rate of Despite having no bookings yet, he remains hopeful with still six weeks to go until Prince Harry and Meghan Markle tie the knot on 19 May. "It's hard to price it," he said. "We will probably play about with the price." On Airbnb, around ?2,000 a night can buy a night's stay in a home overlooking the royal wedding route.And for royal fans willing to shell out ?3,000 per night, one homeowner is offering a royal wedding package with her cottage overlooking Windsor Castle and a champagne hamper.Those with more more modest homes are also joining the drive, with one-bedroom flats in the town available for up to ?475 a night.Georgie, who is renting out the empty loft in her Windsor family home for ?500 a night, said: "We have jumped on the bandwagon. "It is actually my parents' property and they were not keen on the idea but I persuaded them. It can't hurt so I thought we should at least try." Meanwhile, Honour Schram de Jong, 42, who has listed her home for ?1,000 a night, said she plans to stay with neighbours over the weekend of 19 May if anyone chooses to rent her house. "I have thought about [renting my home out] for a while," she said. "I travel to Africa for work in the tourism industry for four weeks at a time and this was the added push." Another Windsor resident, who has a property "seconds from the castle", said he and his fiancee were planning to rent it out to help raise some extra money for their wedding later this year. But not all Windsor homeowners who considered making the extra cash said they felt happy to host.Vanessa Greenwood, whose family home overlooks two stretches of the planned route, said: "We did think about it - ?15,000 would pay to repair the bathroom and all the other things that are falling down. "Although we could have charged ?3,000 a night minimum for where we are in Windsor, I personally had a horrible feeling... I wasn't comfortable having someone who I wouldn't know with the ability to look down on the royal wedding route. "She added: "You just don't know and I can't be 100% that the people in your home are good people, reliable and honest and you worry it could be something sinister. "It comes as police said the town will be cordoned off and people will have to go through full body scanners in the run-up to the wedding.Instead, Ms Greenwood has decided she will only rent out her home to news crews, adding that a neighbour nearby received an offer from a German newspaper. It is not the first time residents have attempted to make money out of major events.In 2011, Londoners also advertised their spare accommodation to tourists for the wedding of Prince William to Kate Middleton.Residents in London letting out their homes to fans visiting for the 2016 Wimbledon tennis championships made around ?20m, Airbnb estimated.And hosts in Cardiff who rented their property for the football Champions League final last June earned an average of ?288 each, the website said.Meanwhile, Anthony Eskinazi, the founder of JustPark, which allows people to rent out their car parking spaces, said: "We've seen an increase in homeowners listing their spaces before the big day, because it's a win-win. 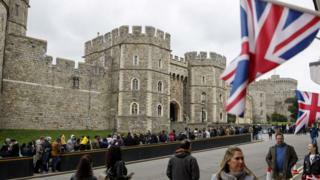 "More than 100,000 people are expected to arrive in Windsor for the big day.Property website Zoopla said it has seen a 30% increase in Windsor-related searches during the first three months of this year compared to the same period in 2017. Hotels are also preparing for a royal wedding boost. The number of people searching for a Windsor hotel over the royal wedding has tripled compared to the same weekend last year, internet data from hotel booking website Trivago found.Website Booking.com said it noticed "big spikes" in bookings on November 28, when Kensington Palace announced Harry and Meghan would wed at St George's Chapel in Windsor.Britons top the list of nationalities searching for hotels in Windsor, according to Trivago. And internationally, both Trivago and Booking.com said people from the US, Australia, Germany and Canada have made the most bookings and searches for hotels in Windsor for the royal wedding weekend.For a historic market town like Windsor, tourist-filled streets are a frequent sight - but the atmosphere on 19 May is likely to be something else entirely. "It's really lovely for Windsor," said resident Ms Schram de Jong, who has had three enquiries for her home. "It's a massive tourist town and the royal wedding is highlighting it. Luckily, it's not forever."